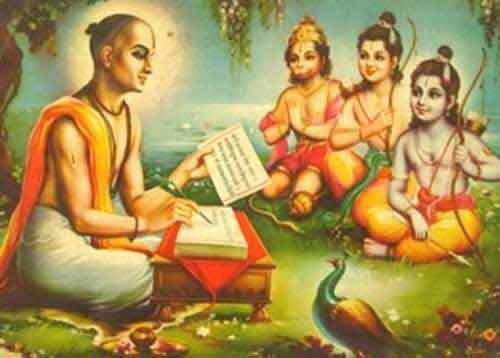 Sant Tulsidas is the author of the immortal Ramcharitmanas. This is a collection of quotes of Tulsidas. What does it matter whether it is Sanskrit or the common dialect? True love is the one thing needed. If a rug serves better, what is the use of a shawl? The ornament of the night is the moon, that of the day is the sun. The ornament of the devotee is devotion, that of devotion knowledge. The ornament of knowledge is meditation, that of meditation is renunciation. The ornament of renunciation, says Tulsi, is pure, unalloyed peace. How many I serve my fellow-men? burns down to the root of lust. scares the bird of sin away. It casts wide the net of purest truth. in the loving cage of your sacred feet’? Neither by happiness nor by woe. Thus only shall I please You, serve You right.